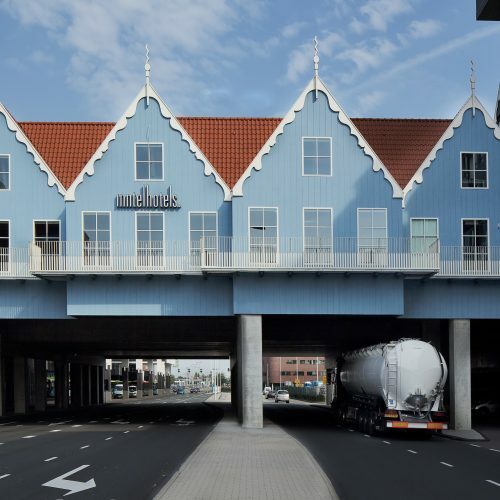 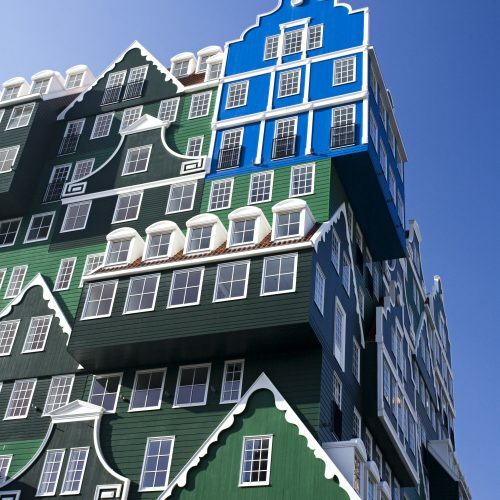 Zaandam town centre is being radically revamped. 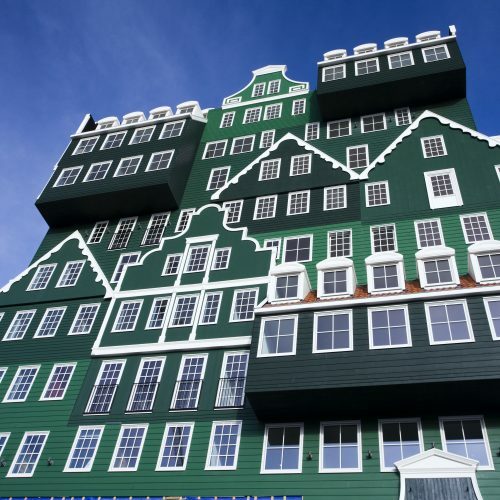 The urban development plan is reinstating the historical street layout, reconstructing an urban waterway and reintroducing atmosphere into the somewhat impersonal and dull town centre, employing magnified stylistic features of the historical Zaanse Schans village. 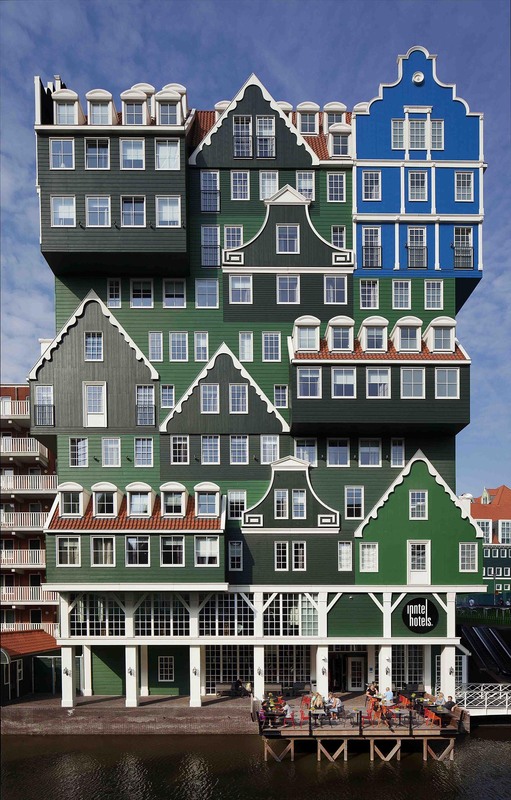 The urban plan by Soeters Van Eldonk Ponec incorporates a new hotel. 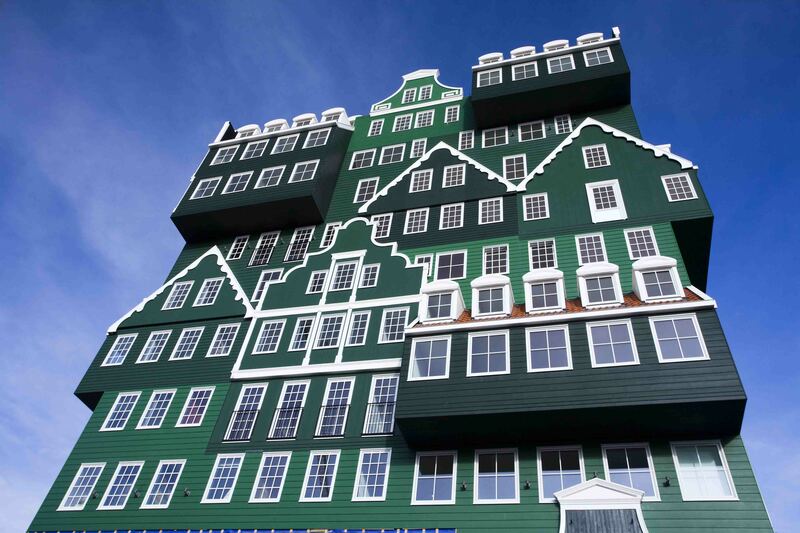 The hotel is the new centre’s eye-catcher. 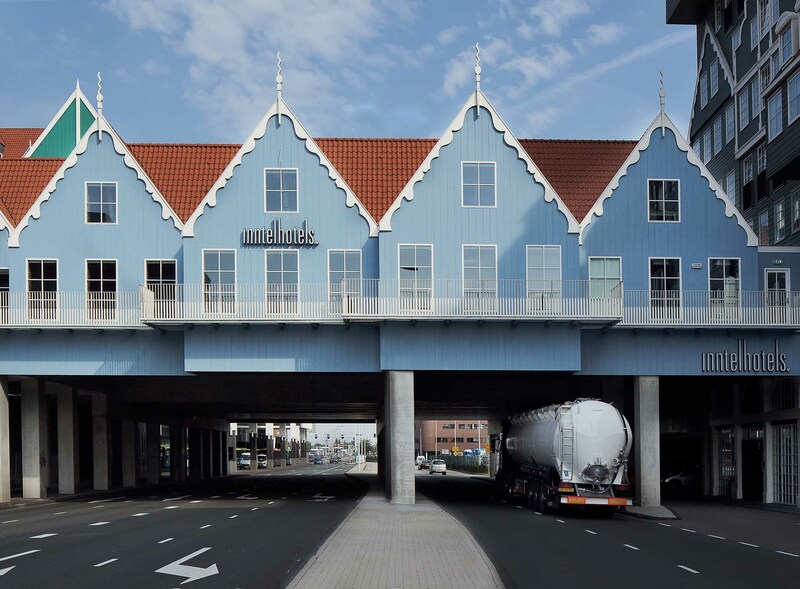 The building contains 160 rooms and a conference complex constructed on a viaduct. 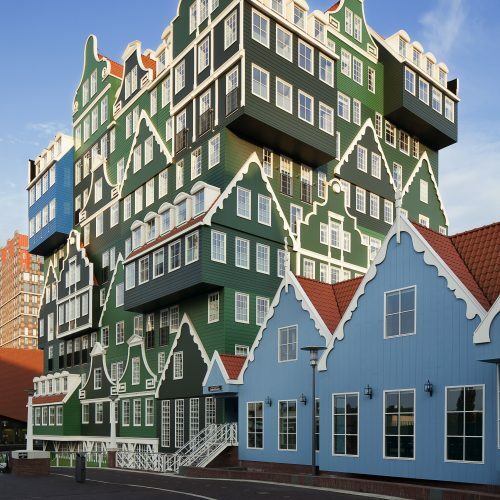 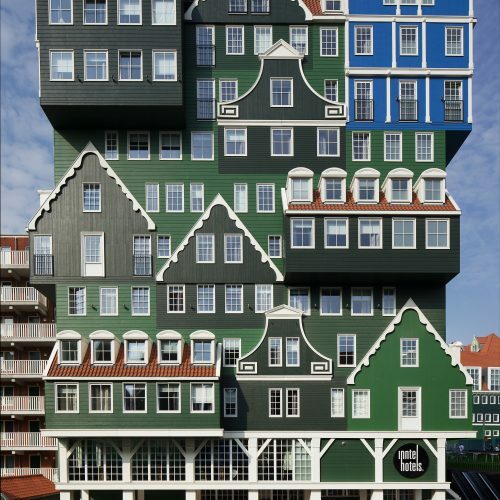 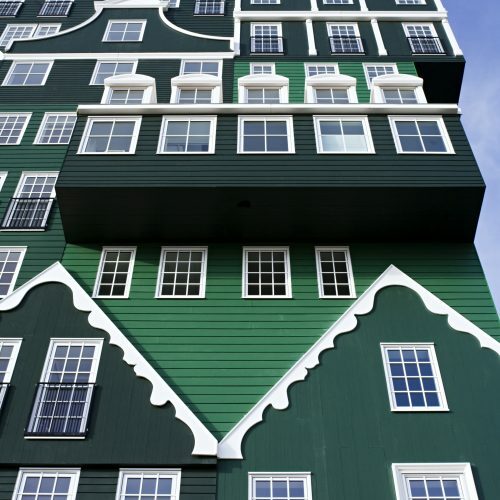 The colosal, twelve-storey-high hotel tower, essentially square in plan, is a monumental stacking and interpretation of various green-painted house types typical of the Zaan region, ranging from a stately notary’s dwelling to worker’s cottages. 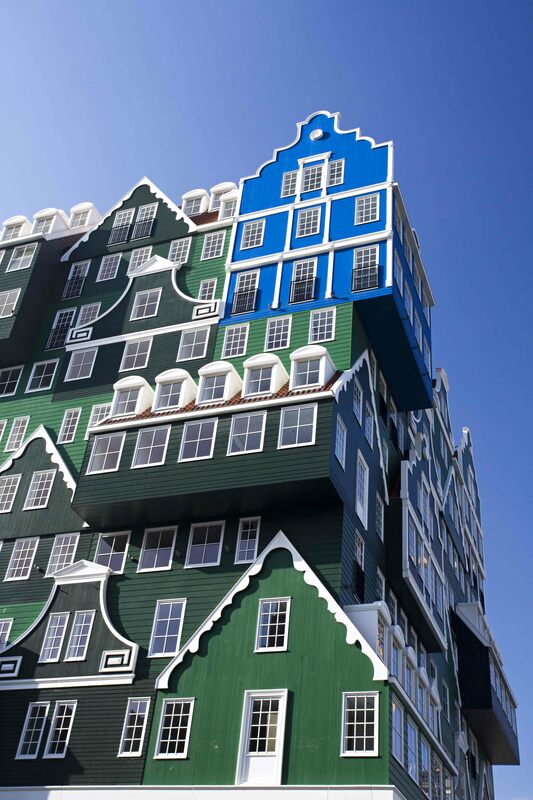 ‘The Blue House’, inspired by the work Claude Monet painted at Zaandam in 1871, is the ultimate attention-grabber. 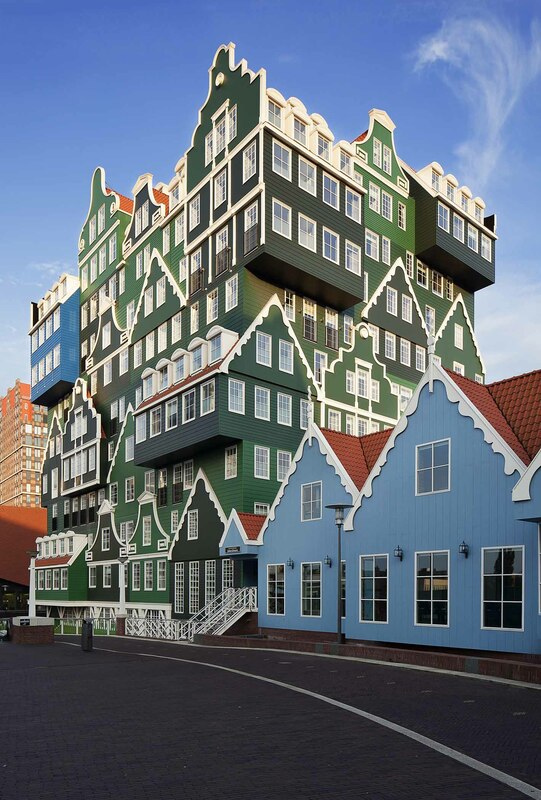 The overall result is striking and caught attention worldwide. 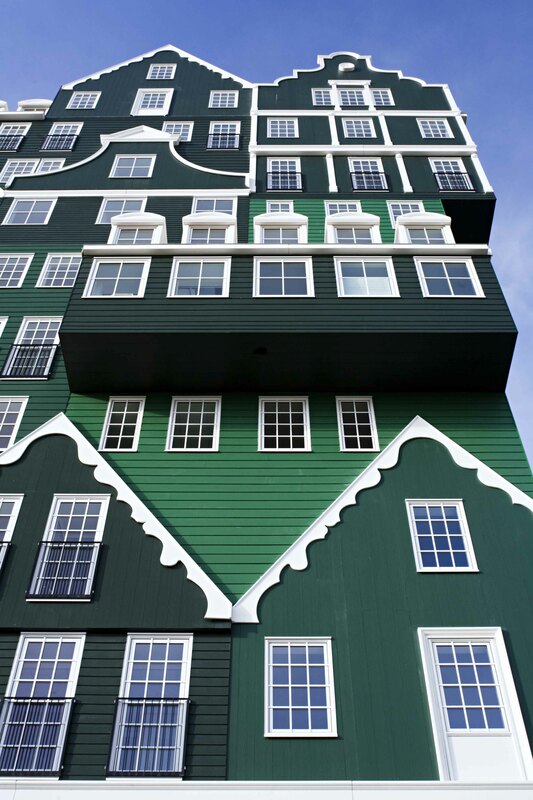 The varied fenestration, broad protruding sections and bay windows, and decorative white ridge-pieces lend depth and an expressive relief to the façade.